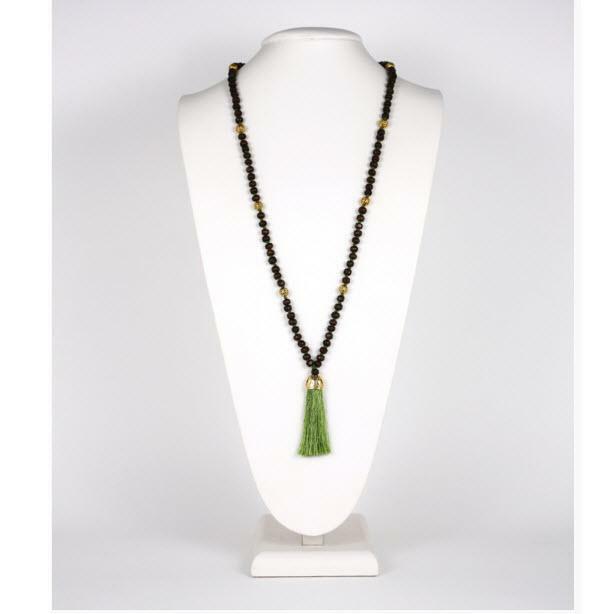 This beautiful beaded necklace features a fringe tassel that can be worn with long tees and sweaters year round. Add some matching tassel earrings to complete the look. Price: $48.00 In stock! - Browse this brand: Lisi Lerch JewelryOur products are custom made to your specifications. This product ships up to 1 weeks after your order is placed. Please select a necklace color.